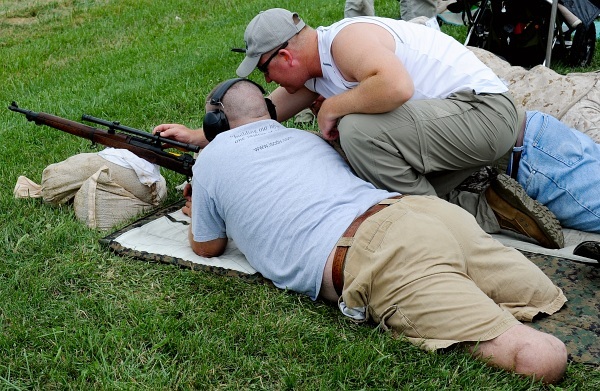 The popular Vintage Sniper Rifle Team Match returns to Camp Perry on July 18, 2014, as part of this year’s National Matches. 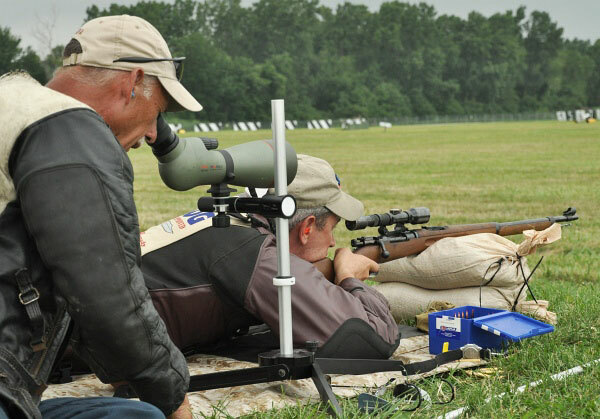 The Sniper Team Match was first held at Camp Perry in 2011, after being “test-fired” at the Eastern and Western CMP Games in 2010. 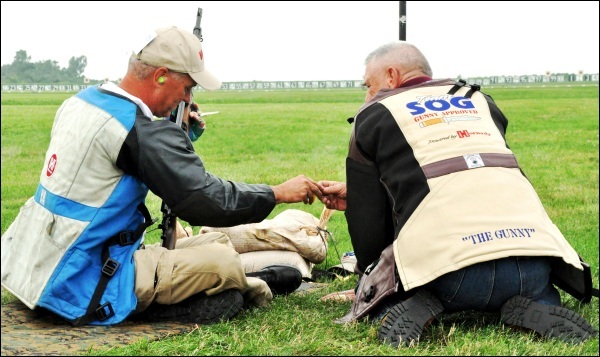 The match tests competitors’ shooting abilities in a controlled environment and requires precise communication between teammates. 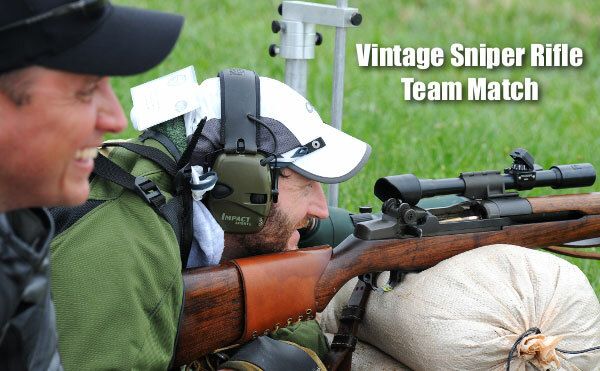 Fierce competition and great camaraderie have made the Vintage Sniper Rifle Team Match a hugely popular event. Two-person teams will fire 10 rounds in 20-second intervals from scoped vintage military rifles set on sand bags. One team marksman shoots from the prone position at 300 and 600 yards, while the other serves as a spotter to relay shot position. Marksman and spotter switch positions on the firing lines, allowing each teammate to play both roles. Scores are then combined for an Aggregate team total. 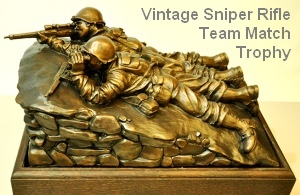 CLICK HERE for more info about the Vintage Sniper Match and other National Trophy Rifle Matches. These CMP Photo Gallery images are from the 2011 Vintage Sniper Rifle Team Match. Dennis DeMille (G.M. of Creedmoor Sports) with spotter Don Rutherford. Two M1 Garands, fitted with scopes and lace-on cheekpads. Who can identify this rifle, with its unusual scope mount? Here’s an old Swedish Mauser, chambered for the 6.5x55mm cartridge. These old Swedes can shoot! 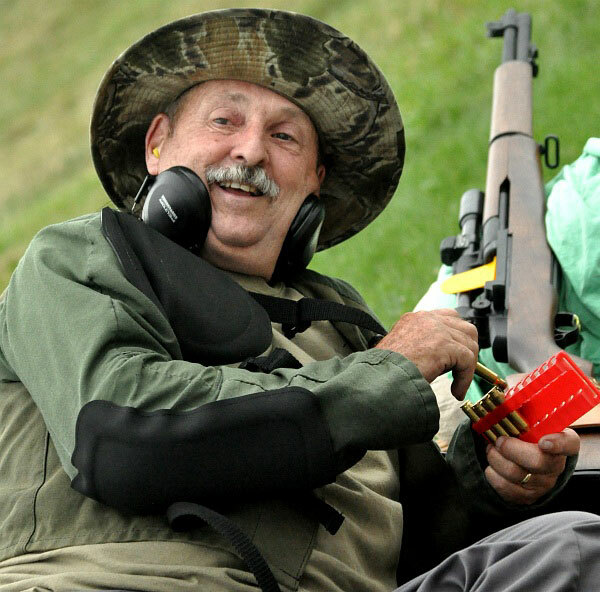 Wounded Veteran participates in Vintage Sniper Rifle Team Match. Hornady’s Dave Emary (left) with “Gunny” R. Lee Ermey (right). A good time was had by all. This is a fun competition. Share the post "Vintage Sniper Rifle Team Match Returns to Camp Perry"
The rifle is a G43 sniper versión with the Hensolt ZF4 scope.